New Colors have arrived in the Stampin’ Up world! Check them out with me this in this series on color. 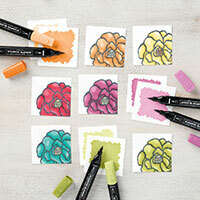 FYI***All Stampin’ Blends Colors are now available in my store. 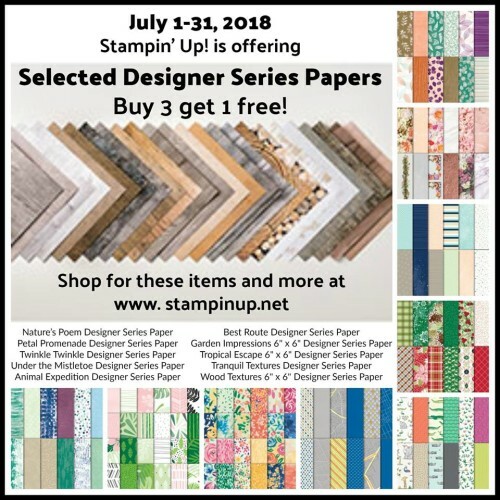 FYI***The July Stampin’ Up! 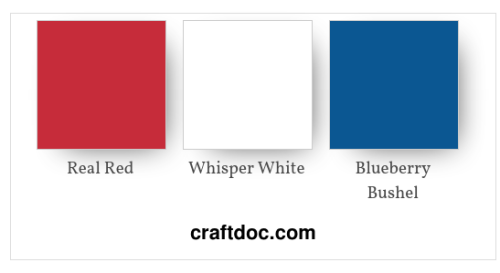 special is: Buy 3 Get 1 Free Select Designer Series Papers. FYI***10 FREE Inkpads for joining the fun in July! We may (or may not) be approaching the end of my series on Color. After all, I’m all about the colors so we’ll be enjoying all the new combinations for many days to come! ***The time is NOW – a special like this doesn’t happen very often. Ink pads are $7.50 each, so counting shipping and tax you are getting over $85 value for FREE besides the already discounted starter kit (you pay just $99 for $125 product of your choice). ***There is no obligation. Use the demonstrator discount all for yourself (happy shopper), or start a small business to pay for your hobby or scale up to earn cash and rewards. ***I’m not creative, I don’t have time, I wouldn’t be good at this…..I have a demonstrator friend that turned EIGHTY YEARS OLD this week. So yes, you can do this! I’m here to help you all the way. So now it’s time to decide. 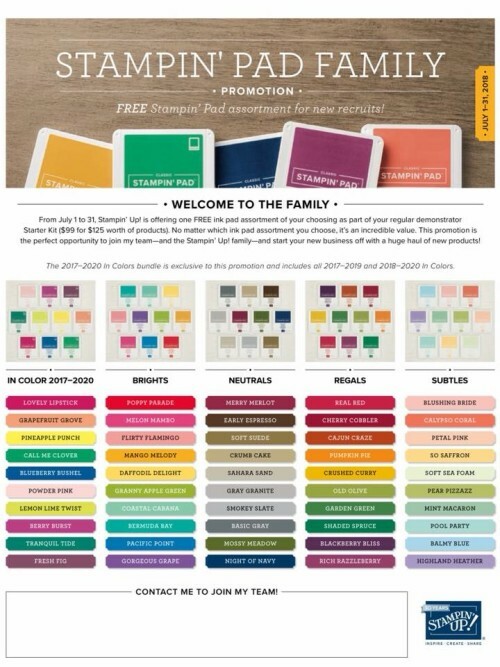 Which Color Family are you going to pick for your free ink pad collection??? It’s easy to sign up online here. Welcome to the Family!